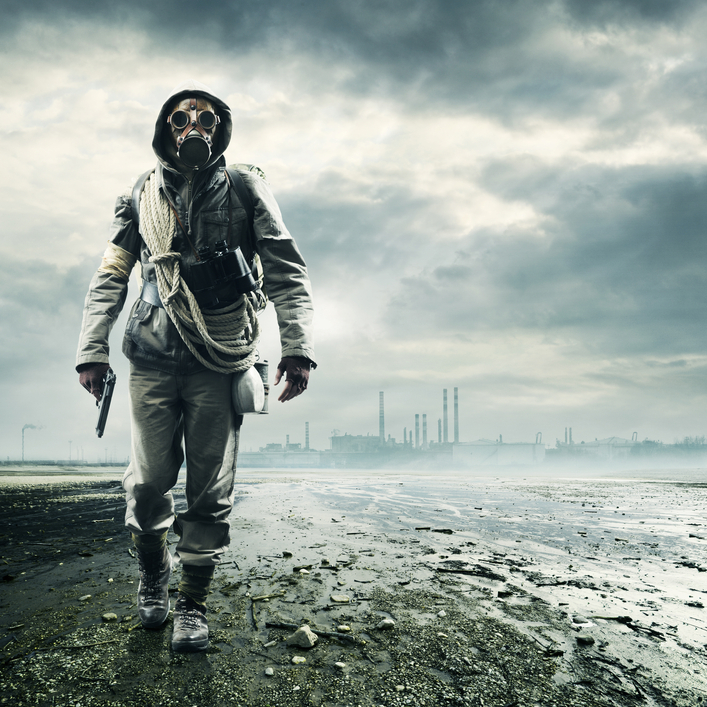 There are currently an estimated 3 million or more individuals in the United States that consider themselves doomsday “preppers” or homesteaders (among other nicknames). However, a very small percentage of that population are an Eagle Scout, Army Ranger, or wilderness guide with years of training and practice on various survival skills. For the rest of the population that hasn’t received some kind of hands-on training, a survival book may be your next best option. It may be necessary to put the skills you learn in a guide to practice in order to prepare for a survival situation, but studying up will at least give you an idea and mental image of the tasks you may eventually be faced with. Some survival books are all encompassing, but many cover a broader spectrum of more specific topics relating to emergency preparedness. They cover everything from natural disaster preparation and survival, gardening and food self-sufficiency, self-defense, home security, relocation, and living frugally during an economic collapse. Whether you are filling a niche in your library of survival books or looking to buy your first guide, the books below contain some of the most practical information and are among the most popular currently available. While it’s up to your own self-determination to survive an emergency situation, one of these books may end up teaching you a skill that could save your life. Many agree that John “Lofty” Wiseman’s 1986 SAS Survival Handbook is one of the best guides available. If anyone knows a thing or two about the physical and mental preparation needed to survive in the wild its Wiseman, who spent 26 years in the British Army’s elite SAS forces. The book features everything from navigation skills, shelter construction, identifying edible plants, predicting weather patterns, and every other basic skill needed to endure life in the wilderness. Wiseman also addresses important and often overlooked topics like fear management and how to cope long after an initial crisis. 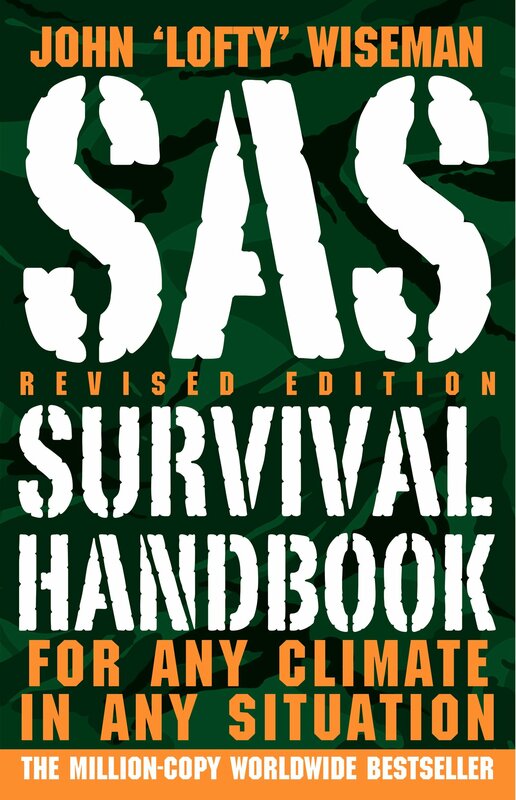 With real world case studies, colorful diagrams, and updated content to address surviving with modern technology, the SAS Survival Handbook will have you putting your newfound knowledge to practice the next time you step outside. The cover to Bradford Angier’s classic guide to wilderness survival boasts over 600,000 copies sold, and each one of those readers is now better equipped to survive on their own. The book has been in print without much update since 1956, but the content is timeless and the information presented is what has worked and will continue to work for survivors of levels. HTSAITW is broken down into four sections: Sustenance, Warmth, Orientation, and Safety, each offering detailed instructions and accompanying (though somewhat lacking) illustrations. Written long before the “prepper” movement really took off, Angier’s book doesn’t delve much into the topics of urban survival or natural disaster preparedness. But with information on game catching, shelter building, signaling for help, and basic self-defense, nearly anyone facing an out of the ordinary situation can find practical value in this guide. There have been dozens of official Army handbooks published over the decades that are written from a military perspective. Military history writer Jay McCullough sifted through their contents and compiled a comprehensive guide on all aspects of survival in a format that soldiers and civilians alike can learn from. The book covers first aid, distinguishes between surviving in different environments and whether conditions, surviving biological and chemical attacks, shelter building, and the often overlooked factors of mental fitness and fortitude. 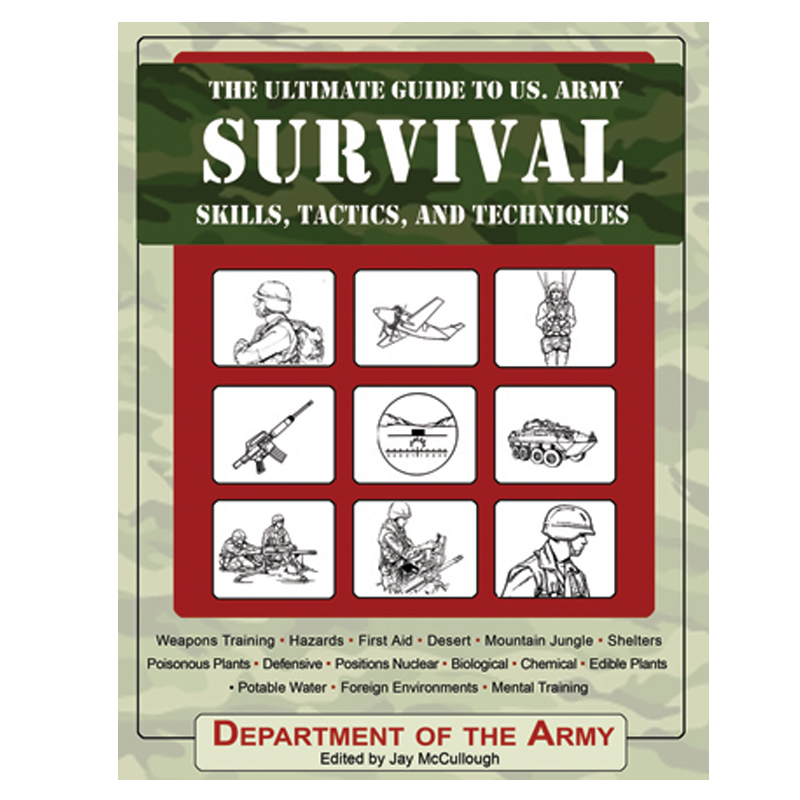 Chocked full of illustrations and photographs of different plants, skin diseases, animal traps, and other useful aids, The Ultimate Guide to US Army Survival Skills, Tactics, and Techniques is a great multipurpose guide for the budding survival enthusiast. 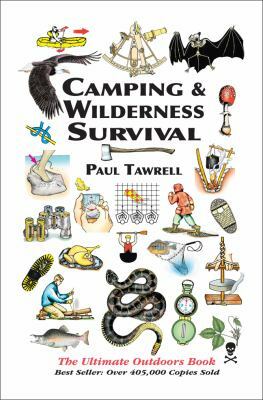 At 350 pages, Paul Tawrell’s Camping and Wilderness Survival is one of the most thorough guides to the outdoors and wilderness survival ever written. The book includes everything from basic skills like using a compass, reading the sun, and starting a fire to more advanced animal tracking, shelter building, and first aid. In an emergency situation, this book has the resources needed to teach you to take care of yourself if sick or injured, find your way out of the desert or off a mountain, or procure an endless supply of drinking water. Traveling by car or boat? Tawrell will teach you how to make the most out of your vehicle’s materials and location to increase your likelihood of getting rescued or fostering your own self-rescue. Some may find the book overly exhaustive, but with so many “what ifs?” possible, Tawrell leaves no stone unturned. 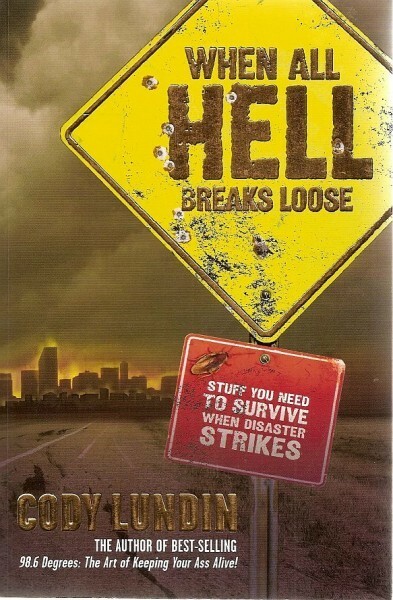 Fans of Cody Lundin from the “Dual Survival” TV show will appreciate When All Hell Breaks Loose: Stuff You Need to Survive When Disaster Strikes, the second survival guide written by the outdoor expert. Lundin has been teaching naturalist/minimalist survival skills in Arizona for most of his life, and his plethora of knowledge resonates in WAHBL. The book addresses topics like finding fresh drinking water, heating and cooling the body and shelter with unconventional methods, composting human waste, catching and storing nutritious foods, and even disposing of a dead body. Whether disaster strikes while you are in your home, driving in your car, or on vacation, Lundin’s book will teach you how to cope and adapt to your situation. The book places firm value on the idea that survival is 90% mental and only 10% application and gear. There are hundreds of survival books to choose from and everyone has their own preferences and opinions on what the book should teach. 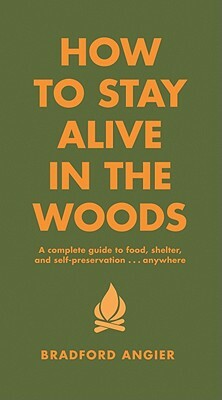 A book that may be elementary to a survival expert may be a beginner prepper’s outdoor bible. Remain hopeful that whatever book you chose will have a tidbit, if not an arsenal, of life-saving information.